LOPSA would like to thank our corporate sponsors who provide donations of cash and services that help enable us provide services to our members. For more information on sponsorships, please see sponsorship information. Paessler AG’s award winning PRTG Network Monitor is a powerful, affordable and easy-to-use Unified Monitoring solution. It is a highly flexible software for monitoring IT infrastructure, already in use at enterprises and organizations of all sizes and industries. Over 150,000 IT administrators in more than 170 countries rely on PRTG and gain peace of mind, confidence and convenience. Founded in 1997 and based in Nuremberg, Germany, Paessler AG remains a privately held company that is recognized as both a member of the Cisco Solution Partner Program and a VMware Technology Alliance Partner. Learn more about Paessler and PRTG at www.paessler.com. Bronze Sponsor PreOS Security offers software, consulting and training for firmware level security for your desktops, laptops and servers. Firmware is the new software, and persistent vulnerabilities and exploits have been growing steadily. Protect your firmware better with software and knowledge from PreOS Security. 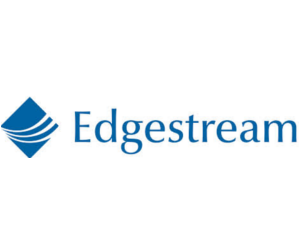 Edgestream Partners is a small group of scientists and engineers with a unique approach to trading in the financial markets. Our company designs, builds and runs a global trading software platform. We take pride in our software craftsmanship and use Python, Cython and C on Linux to run our global trading operations. We also use open-source tools as much as possible - Python, PostgreSQL, numpy, git, Cobbler, Puppet and Ansible are all crucial to our business..
From in-person conferences and live online training courses to self-directed learning and immediate access to problem solving online, O’Reilly has you and your team covered. LOPSA would like to thank our individual sponsors who provide donations of cash that help enable us to provide services to our members.